I would be less than honest if I didn’t admit to the fact that Gary Larson with his “Far Side” cartoon was the trailblazer (as far as I was concerned) at “making insects and other animals) more human (and vice versa). Sure, plenty of cartoonists did this “fun cartoon trick” long before Gary did, and even during his cartoon, but nobody did it with quite the fervor that Gary Larson did. Most know, but a few still don’t, Gary Larson majored and got his degree in biology. He’d thought about teaching and then changed his mind, thank God. Though I followed The Far Side it’s entire (nearly 15 year run), and it had a vital impact into my thinking process and which way I wanted my humor to turn (I was younger, more immature and “still exploring” at the time). Then I was invited by some Ms. friends who lived on Capitol Hill in Washington at the same time I did to see a Far Side Exhibit at the Smithsonian. They had to drag me there even though I loved the cartoon. I guess I didn’t think I was going to “see anything new” that I’d not seen in the newspaper. Was I ever wrong. Whomever put that exhibit together knew exactly how to whet and satisfy the appetite of any/every Far Side fan. Each Far Side was blown up into an 8-10 ft poster on board and hung from the ceiling. It was as if one was walking around inside the Far Side Cartoon and even talking to the odd characters whether they be human, animal, bacteria or space alien. That exhibit was 34 years ago and, aside from a trip to the Salvador Dali Museum in St. Petersburg, Fl., I can’t remember any collection of art that had such a life-changing impact. However it is easy to “take for granted” people of whom have walked this crazy walk with me, many creating their own properties whether they be cartoons or other types of art. Most know my story of being so naive at the start back around 1997, I contacted some of the biggest names in the industry. And they were all good to me. Dave Coverly of Creator’s Syndicate was particularly generous as was Charles “Sparky” Schulz (Peanuts). Am back in touch with Dave, his cartoon (to me) easily rivals The Far Side but has a “different flair” that is clearly Dave’s own “fingerprint” in his Speed Bump Cartoon. Dave was generous enough also to leave a positive testimonial on my latest book “Useless Humor” which is (for now) available at Amazon Kindle but soon will have it in other bookstores. It is our best book I think; and my first to have a mix of cartoons and “useless quotes”. I’d be amiss not to mention some of the people closest to me such as my beloved wife wildlife/nature photographer Lee Hiller London who is like a “human thermostat”. I can get an idea (often while we are hiking in the forest) and run it by her, and she gives an honest assessment immediately. I have decided to make cartoons public or toss the ideas away based on her opinion. Sometimes (on rare occasions) I go ahead with them simply because I like them (and her taste might be different) but she is generally right on target as far as “what is funny to the public” vs “what is funny to just Rick”. 🙂 Lee is also an amazing designer of both gifts and casual clothing and accessories. Also my long time associate and co-creator Rich Diesslin has steered me in the right direction more than once. He was with LTCartoons for over a decade and we still work on the occasional project together. We’ve butted heads, made gains, losses etc together, and stayed friends. He has 3 excellent cartoon properties of his own. I’m in awe of his ability to both create and use left-brain management skills. Thanks Rich for all you’ve done and continue to do. Rich also managed LTCartoons the first (most vulnerable decade) and did it well and with integrity. I’ve been fortunate over the past 3.5 years to work with Tom Kerr who many consider one of America’s finest caricature artists and editorial cartoonists as well as childrens book author. His latest book is in Warren Buffet’s Berkshire Hathaway Library and deservedly so. Tom leans more right than I do, but it is that “slight friction” (I’m more to the center) that makes our collaborations work, and they work almost every time. Tom knows how to make me look good and I appreciate that. His blog Despicable Jerks is also well worth reading. You will laugh. Guaranteed. Thanks again for 18 years of support. I am truly humbled and grateful. Don’t ask me what it is that fascinates me so much with the English language but it is more like “a friend” than “a thing to speak”. Why is that? I’ve theorized numerous reasons. I guess I’ve come to the conclusion that when working in the arts, language is one’s finest arsenal. The ability of ones work has a direct correlation with ones ability to master the English language (if the artist/or writer lives in America). I’d every bit as much enjoy spending a night reading a thesaurus or dictionary than Fitzgerald or Faulkner. The English language is extremely generous in its flexibility, its puns, its double entendres, etc. Why does that fascinate me? When I first began to learn the “cartoon business” if one can call it a business, I contacted some of t he greatest cartoonists on the planet; Charles Schulz, Dave Coverly, Leigh Rubin etc. I guess my autism came in handy in that I didn’t realize one was not supposed to do that. I also contacted some others who were not quite as far up on the ladder wrung as they were. Most of them wouldn’t give me the time of day. But Schulz, Coverly, Rubin, Jon McPherson and a few others chatted for hours with me. How did I find them? With some it was not easy. With others, their friends “gave them up” but it took some time talking to them before they came to the conclusion I was no stalker or worse. I simply wanted to learn the business. All of the great ones had vocabularies similar to Shakespeare. I wanted that for myself. They taught me that reading, (even dictionaries) was a way to accomplish that, or not necessarily accomplish it, but get better at it. And if one was better at it, one had a leading edge over the competition in cartooning. I didn’t realize how important that was until I learned that on any given day, there are approximately 100,000 cartoon properties on the Internet competing with each other. So, though I can draw (a little), I cannot draw to the level of what I wanted my cartoon to be. Sparky (Schulz) told me that about 30% of all the cartoons we see in papers are team efforts, and suggested I write them and “blueprint them”, that is, explain them in detail to the team artist. If that team artist is good, he/she will understand your vision. I went through about 100+ illustrators the first few years. It went from “artistic differences” to “I want to own the entire cartoon; you only write it” etc. But my mentors suggested I carry on and continue finding talent. They told me the more cartoons I had, the more likely I was to find better talent. And that became the truth. A funny thing. Dave Coverly is syndicated by Creators Syndicate and considered one of the best if not the best offbeat cartoonist who draws his own cartoon (in the world). I always got along with Dave; and he knew I had launched Londons Times in an abandoned tin shed in my own hometown because nobody would rent or sell to me. They thought I was nuts (and starting a cartoon at age 44 didn’t help deter that theory). Dave didn’t care. He loved talking about things I also loved to talk about….creative ideas, cartoons, humor, dogs, cats, nature etc. We could chat forever it seemed. About 2 months ago, a familiar name appeared on Twitter. It was Dave. I’d not talked to him in about 18 years. We chatted online a bit and I told him about “Useless Humor” (our 18th Anniversary book) which contained quotes and cartoons I’d written. On a whim, I asked if he’d write a testimonial for me to use on the book. He wrote a beautiful quote which is on the cover. SO……….Not bad for a tin-shed cartoonist who didn’t know better how to do it right (or wrong) who recruited several teams of some of the best cartoon illustrators available anywhere. I still think that. Or better yet, there is no right or wrong way in cartooning. Just stay the course, keep the faith, and never give up. You will want to many times. Just don’t. 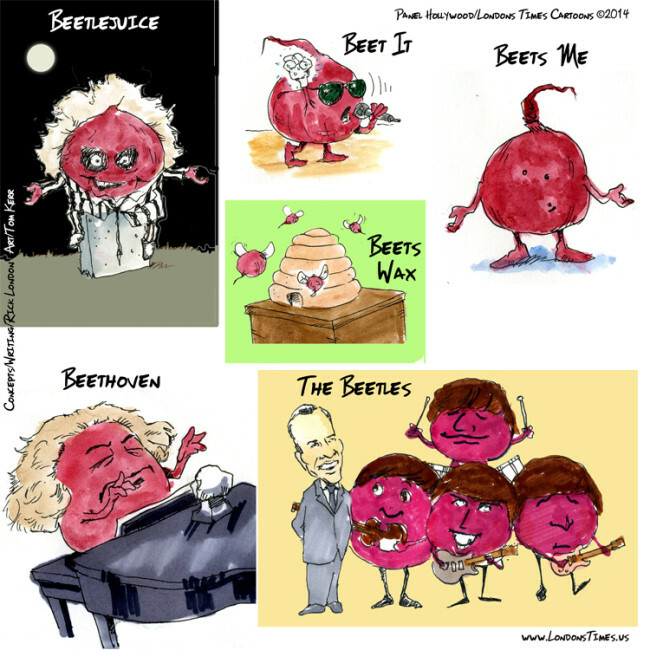 Rick London is an author, songwriter, cartoonist and gift designer. 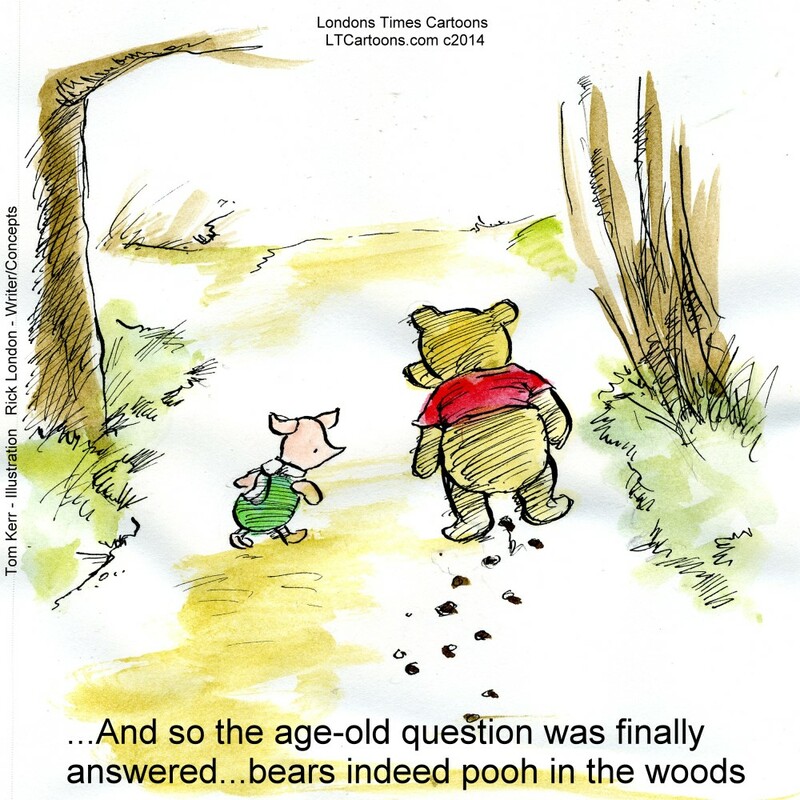 He is best known for his Londons Times Offbeat Cartoons & Funny Gifts which he launched in 1997. It has been Google #1 ranked since 2005 and Bing #1 ranked since 2008. I’ve often heard from well-meaning friends, relatives etc., especially since diving into the world of cartooning, “Just because you can do it, doesn’t mean you should”. 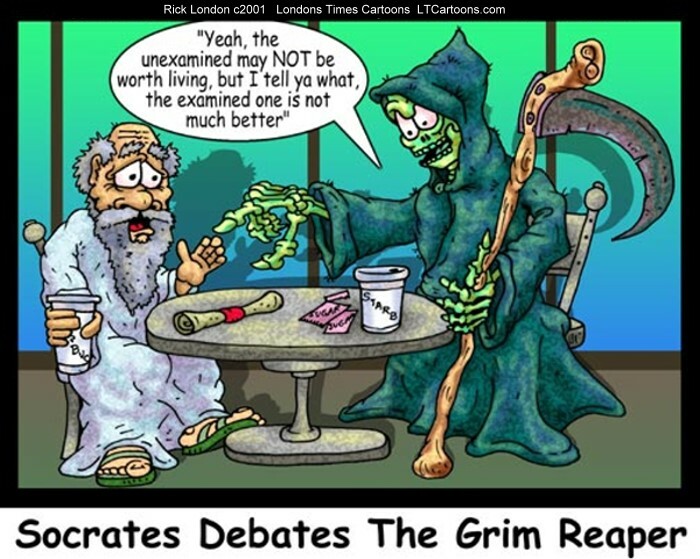 To them I quote Socrates, “The unexamined life is not worth living”. 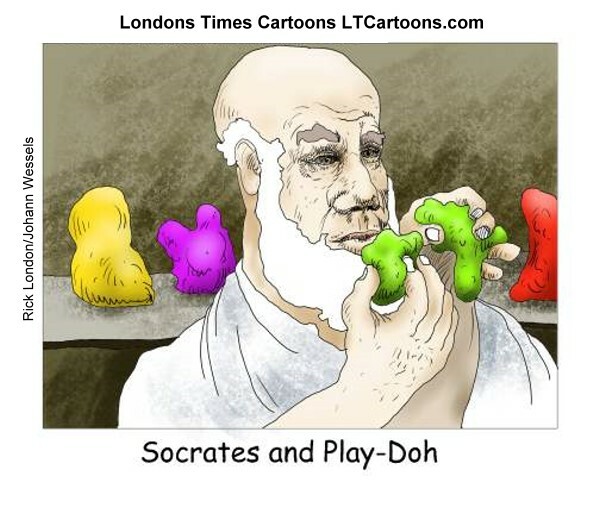 (Note: Often Plato gets credit for that quote but I understand it was actually Socrates). Sometimes it’s just okay to try something new, or different, that is unconventional and really not even think twice about what others think….in fact necessary as far as I can see. To spend one’s life only to please others, or to be “who they want us to be” is the trademark of the unexamined life. I’m not saying it’s not a good thing to “do unto others”. It very much is, and service is a trademark of character. And we grow from it. But we also grow by taking the risk of “being ourselves”. And to a certain degree I mean it (to examine ones own life rather than fear it is a key to real success and happiness. I’m not necessarily talking about fiscally, though that can often happen. The key here is learning to be happy by simply being comfortable with oneself, okay in ones skin). I believed that when I began my “journey of examination” and I believe it still. I’ve never met a happy person who does a job for instance he/she was forced to do, or inherited but didn’t like it that much and no amount of money changes that. Once one truly examines ones life, they surely aren’t perfect (I’ve proven that), but they are happy and find things to do, and friends, spouses, etc. that perpetuate that happiness. We were taught by our parents and formal education (if we were so fortunate) not to participate in violence, bullying, stealing, to treat others as we’d like to be treated, etc. And those principles should remain with us for a lifetime. Those are some of our most important lessons. But education and loving parents can also have their downside. Don’t get me wrong, I’m not against either. Both teach us, whether it is a written lesson, or a “silent rule” to don’t do it just because you can or is legal etc. I imagine Evel Knievel was told many times as a kid not to jump his mini-bike across the creek or he’d “put his eye out” or whatever smite might visit him before reaching the other side. I can imagine Thomas Edison’s parents begging him to hang out with the kids and play ball rather than act like a hermit in the garage with all these wires and such. I heard one talking head on one of the news networks, who made perfect sense, saying that if Tesla, Einstein, Edison, Galileo, et al were all alive today they’d have been given Ritalin in school but would have great marketing jobs after high school or college. We often hear teachers complain about how out of control their classes are; and in many cases I’m sure they are correct. But sometimes, it’s the teacher who is out of control, or, really doesn’t understand his/her job. The Greeks, who (scholars believe) ushered in the newer age of education of which we are familiar today called it “educare” or “to pull out”. The theory is that the young student already has the knowledge, a good teacher knows how to reduce his/her ego and draw out the knowledge from the already-knowing children. Education derived from the word educare. If you’re like me, you can count on one hand the teachers who taught the educare method. Most felt they had to stuff the knowledge into us because, after all, we were dumb kids. Don’t get me wrong, I’m all for more education (and better education), and feel teachers have about the most (if not the most) important job in the world. Perhaps if we paid them what they’re worth, they’d all take the time to perform as well as a world-leading surgeon. Until then, I think we can, for the most part, expect the status quo, blaming the kids and punishing them with Ritalin. For 30 years or so I’ve been living my life, but in the process examining it too. Sometimes it is exhilarating, sometimes painful, but always necessary. I returned to a good college at age 49 to pursue a degree in Business Internet Technology. The majority of professors there were quite keen regarding educare (and many of us were “big boys and girls” by that time. We were still treated with respect as equals. Ego was cast aside for the sake of learning. What is the point of my blog. It is never too late to shift gears, to stop the drama. We were not created to be unhappy, hateful, violent, ignorant, or any other negatives. Even actions that extreme can be modified with proper education/educare. I am sixty now and feel like I’m just beginning to learn about the world. I’ve changed my lifestyle considerably as has my wife Lee. Our daily routines are healthy and there’s always something new to learn in what we do. If we don’t like a certain path part of our work is leading us down, we turn the steering wheel. We’re nothing special; well no more special than any other human being (we’re all very special in that way). If we can do it, so can anyone else. Please do yourself a favor. Live a little before you die. It’s okay. Really. Rick London is a writer, songwriter, designer and cartoonist. 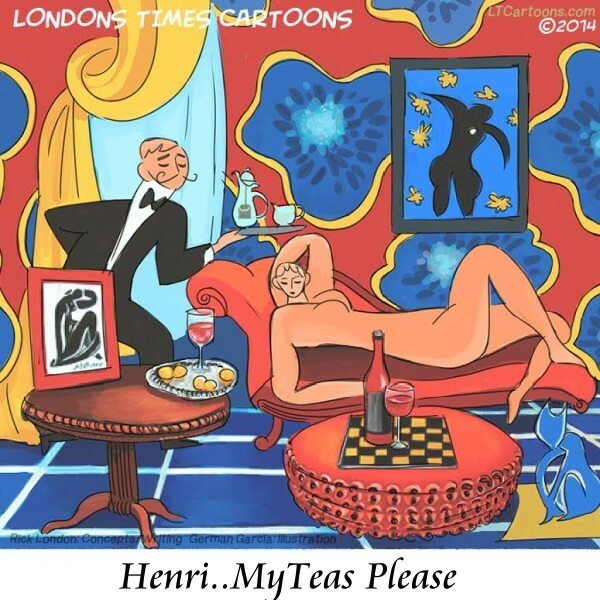 He is best known for the founding of Londons Times Offbeat Cartoons & Funny Gifts. He and his nature photographer wife Lee Hiller-London are living green, vegan, hiking etc in the Ouachita Mountains of Arkansas. I live a relatively blessed blissful life. Except for the usual suspects (aches/pains) of getting older and not having the energy I had in my 20s (though occasionally I have more), I have no complaints. I live in (what I believe to be) the most beautiful part of the U.S. When I was a teen, often to my objection, I was sent to summer camp near Asheville, N.C. Though I didn’t want to be away from my friends, I made new friends and saw something I’d never seen before in my life. I still think that. But it didn’t happen. Before I turned fifty, I knew that I was not going to live in the town in which I was raised. Though the town has some very good qualities, I found the negative far outweighed the positive (as far as my goals were concerned). My goals were (and are) low crime rate, peaceful, apolitical (at least in civil discourse…most of us vote), cost of living, education, etc. Though Asheville N.C. was up there at the top (and that was 1998), so was Hot Springs, Ar., and it was closer to people I knew within the state and adjacent states. I chose Hot Springs. Like any move to a new city, there was a culture shock. I had lived in large metropolitan cities much of my adult life and I walked fast, talked fast, and found myself not enjoying the very slow genteel pace I had been seeking. I learned that was/is a process and it eventually did happen. But I wanted mountains, tall ones, with lots of mountain lakes and plenty of bass fishing (I was not vegan when I arrived). I fished nearly every weekend for 6 years; and sometimes during the week. Yet another freedom I took for granted all my life. I met my wife Lee about a decade later. Her move to Hot Springs from Portland, Or. was also a tough culture shock. She’d lived all over the world. As time went by, we learned to love it. We never want to take for granted the lush 5500 acre second oldest National Park in the U.S. (Hot Springs National Park). One of the main trailheads is about ¼ mile from our front door. We live within ½ mile of the purest water in the world, and its free from a four spigot water fountain maintained by the National Park Service. Elvis had that water shipped montly to Graceland in Memphis. He, of course, could have had any water in the world shipped to him. He chose our 2000 year old thermal water that doesn’t see the light of day until its passed over mineral rich crystals for a long long time. And he drank it. Never did he Return To Sender. I don’t blame him. Lee and I could never go back to tap water (or even bottled water for that matter). Mountain Valley Water bottles it (in the dark green with red/orange label bottles) but the taste is not even close to how it tastes fresh out of the ground from the city spigots. We fill about 7-10 jugs per week and try to drink at least ¼- ½ gallon per day. With a little fresh organic lemon, it is the best body cleanser out there. Some pay hundreds and even thousands a month for a similar cleansing that we get for the cost of a few lemons. Lee found a beautiful century old “wedding chapel” atop one of our favorite hiking mountains and we decided to marry there. Some of the park rangers didn’t even know it was still up there. She had found it on a solo hike one day and told me about it when she returned, already calling it “our wedding chapel”. Though our tiny hamlet allegedly lures 5 million or so tourists from around the world annually, we have about 30,000 residents. It always seems much larger due to iconic landmarks like the five star Arlington Hotel, the National Park that is the only one in the country whose edge is right in our gentrified downtown area. Some of the most interesting architecture is in our downtown area, and residents have done some amazing work renovating the sometimes 100-200 or more year old structures. The history of the town is unique in that it was “America’s First Tourist Town” and advertised as such. After it got the word out that it was “a tourist town” (nobody really knew what that was), other towns tried it, some with success, most not. Hot Springs had/has something pertinent for both travelers and residents. The bathhouses are magnificent. Only one is still open as a bathhouse and the price for a bath and massage is around $80, 1/10th the cost of such larger more lush destinations such as La Costa, etc. Though we have people for neighbors, and most of them are quite nice, the neighbors we know best are deer, a myriad of tropical birds; raccoons, snakes, lizards, turtles, and many we don’t see but we know are here such as panthers and numerous other large cats, bear, and numerous other interesting creatures. Not that this is a lure, but Arkansas has more venomous snakes than any other part of the country, and we’ve seen our share. People not familiar with snakes should take note that snakes, generally, unless threatened, are not a threat in the least. They simply want to move out of the way (if they get in the way). Moreover, most are very shy when they hear or see hikers coming. Only once did I have a close call with a 5 ft Western Copperhead (we’re still not sure how it got here; its much larger than our southern copperheads). I came very close to stepping on her, and not looking. Lee screamed at me and I looked down to see her looking up at me. I slowly walked around her and kept a distance of about 10-15 feet. Lee had her old camera and was determined to get close-ups so she went back to our friend and snapped away from just a few feet away. This happened at the end of our hike. We’d left the trail and were on the side of the street. The snake was simply waiting for dinner to cross the road. Copperheads, like most venomous snakes, don’t really feel like wasting its toxin on something that they don’t consider dinner (and they don’t consider people dinner). They will more often do a “head slap”, which is a warning (they generally do not bite on a first strike); and only then when feel threatened, or, one steps too close to their nest. We’ve done hundreds of hikes and had no issues with any of the animals except a few mean insects that show no mercy. The worst insect bite was not deep in the forest but hiding under the basket rail in the parking lot at Walmart. I didn’t feel it bite my hand but by the time I walked inside, the clerk asked me what happened to my hand. The lump was literally the size of a baseball (it took less than 5 minutes to swell that large). It had to be a scorpion (we have plenty) or recluse or black widow. It took a month for the swelling to subside. Given this information, aren’t you just rarin’ to pack up and visit Hot Springs? Days like the bug bite are very rare. We get stung by something about once or twice a year; it goes with the territory and is usually healed with some tea tree oil within a week or less. One of the things that we never take for granted is our nearby Kroger (for groceries) and WalMart (for dry goods), Lowes, Bestbuy, are all within a few minutes drive and even one of the top vegan restaurants in the state is a few blocks away. In every major city where I’ve resided, it was a real chore to get to just about anywhere. These type of things turn out to be important in the golden years. I don’t want to spend half my life in a car. I never did like doing that. And Lord knows why I ever chose large cities “as home” for so many years, given the hassle and dangers of living in them. Large cities do offer a great deal of culture, museums, sporting events etc. that small towns don’t. But most of downtown has been turned into galleries and museums, and major exhibits always seem to hit our little town. We can walk to most of them. We have the oldest documentary film festival in the country, which just qualified this past year for the Academy Awards. We’ve seen some top-notch films at HSDFF, reviewed some, and even made friends with the producers, directors, etc. Our place has a beautiful home office view of Hot Springs Mountain and it is not unusual to see hawks and a variety of other beautiful birds fly by our window. Which brings me to why we celebrate Memorial Day and hawks. People have asked me if I’m a hawk or “pro-war” etc. because I’m supportive of our military, and have a strong feeling for those who have perished due to war. The answer is “No, I’m not”. And to be honest, I’ve never met a sane person who is (pro-war). I am an adult now and I realize there are times when war is necessary, and is always a last resort. We’ve been in wars in which we needed to be, and others maybe we’d done better not to participate. Either way, if we send our soldiers to foreign lands, we owe them every bit of support we possibly can offer. They deserve at least that. And that has nothing to do with how we may personally feel about that particular war. Those are human beings, they are away from home, war is a frightening and traumatic experience, and they better know we’re here for them (while they’re there and when they come home). Most of them can think of other places they would prefer to be. Many in my family have been in the military. I was willing to go and signed up for the lottery in the early 1970s but my number was too high, I was not drafted, and I went to college. The Viet Nam War ended shortly thereafter. The soldiers were only there doing their jobs. They did not start or stop the wars. They simply did the job they were trained to do. They were willing to give everything for us when they enlisted, so that we could have the freedom to move wherever we wanted, to hike and enjoy the beauty of our country, to visit the grocery and not wait in long lines for a crust of bread and processed meat. We have the freedom to buy organic and even be vegan if we wish. Please think of something for which you’re grateful. Doesn’t matter what it is. A picnic with friends or family, a cross country trip or even a trip to visit the grandparents, finishing finals in school, or you name it. Please remember our soldiers who gave their lives in war. Remember the wounded warriors, and remember them all. These human beings do not go to dangerous foreign lands “just for fun”. They bravely participated so that our freedoms, most of which we take for granted, would never be removed from us. It is real easy to forget, since a lot of those heroes fought so many years ago. But let’s not ever forget. By not forgetting, it makes it much easier to be grateful for the smallest of things that make us happy, and never take them for granted. Thank a soldier today, and tomorrow, and any day. You have that freedom too. There was a time when I went to the movies at least once per week. I was hypnotized by the silver screen. At times I was sure I would be an actor or director, and then came real life, and Hollywood was sure I wouldn’t become either one (so I listened). But I did continue to investigate the business to see if there was anything pertaining to it that I already knew how to do (or could be taught). Screenwriting! So I took workshops from several well-known excellent teachers and classes from some not-so-great teachers. What I didn’t learn, until the end of numerous workshops that screenwriting is at the bottom of the totem pole in “the industry”. Now don’t get me wrong, I have no problem starting at the bottom and have done so many times. Then after taking more workshops, I learned that about one out of ten thousand scripts that go through the major Hollywood studies ever become a film. In other words, I might as well just buy lottery tickets; my chances would be just as good. I did manage to write two romantic comedies, each in screenwriting format, “Elvis Vs Godzilla (really), and another called “Tabloid”. Tabloid was actually more of a drama about journalism (but had some humorous lines). Then came the Northridge Earthquake which swallowed my home in the Valley (including my computer). Then my Mom called from Ms. She was very ill and would be alone. I felt the combination of those facts had sealed my fate. After 16 years away from home, I had come full circle. It was time to return. To keep my mind occupied, I wrote cartoons. I had done that when I was away at college in Dallas back in the early 70s and still had that shoe box-full. I never quite knew what I might do with them. I had taught myself to draw, but not to the point I wanted “my cartoon” to be. It was to be part fine art/part cartoon in bright colors. I found a way to contact master cartoonists still living and most were quite helpful. One of them told me to use “the Disney Model”; that is, write them, blueprint how they will look, and assign each one to my team of artists. For the first 3-4 years my “team” was one artist and me. When his wife had a child and he went to work in a bank, I thought it was over. That was one of the many times I “threw in the towel”. As time went by, several illustrators came to me and “auditioned”. At one time I found myself writing from 15-100 cartoons per day and assigning them to each of my 12 illustrators. Though I often felt “burned out”, it also kept my mind occupied, as I needed some kind of creative outlet; being back in my home town. One of the most fun things I remember doing was taking the names of film or TV celebrities or movies and combining several names. Though I wrote this one a long time ago, it wasn’t until I knew there was a team player who could draw the caricature of a young Shirley Temple and do it correctly capturing the colors, facial expression, and “feel of the movie”. 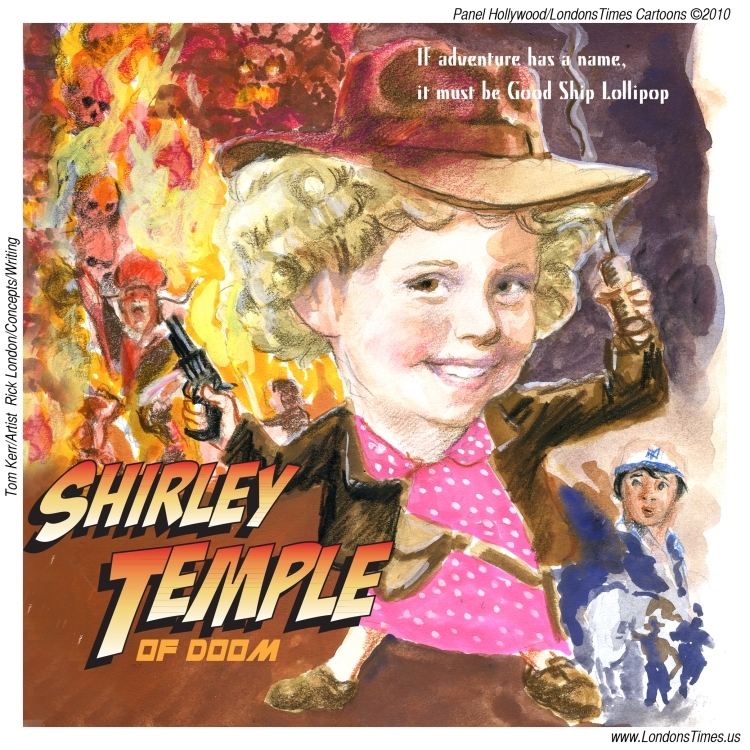 This example “Shirley Temple Of Doom” rendered by master caricature artist Tom Kerr, made it happen. My parody line of cartoons later became known as “Panel Hollywood” (part of Londons Times Cartoons). This cartoon was drawn in 2010, maybe a decade or more after I wrote it and put it away in a file in my head. That was 13 years after Londons Times Cartoons was launched. I’ll be turning 60 in a few months and wondering if I will still be able to “think these things up”. I have come to realize it is a gift, and one that I ignored for many years which caused unhappiness in my life. I’m convinced everyone has “a gift” of some sort. I believe everyone should explore their gift(s), research it at the library, Internet or wherever. Maybe take classes. Maybe you can teach yourself. I watched my wife nature/wildlife photographer teach herself that art, and become one of the best if not the best in our state. I’ve seen friends mid-life, mid-stream try something completely new and different. There were obstacles. There were challenges, and of course there were naysayers. And it was all those things/people that kept our brains sparking and alive. The more they said it could be done, the harder we worked to find a way to make it happen. Life is good today. I set my own pace, I go hiking, run errands, and I only have to be funny about once a day. That’s not a bad life. Rick London is a designer, writer and cartoonist. 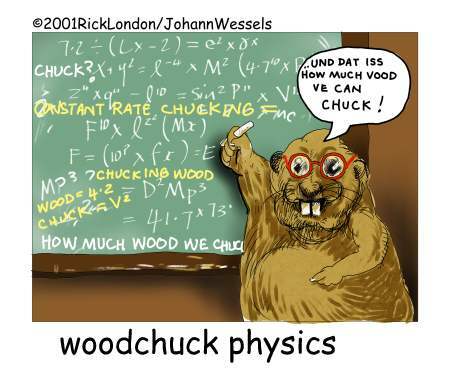 He is best known for his Google #1 ranked offbeat cartoon Londons Times Cartoons & Funny Gifts. He is married to nature/wildlife photographer Lee Hiller-London who manages her popular nature blog Hike Our Planet. I actually enjoy when people ask “What made you think of that cartoon?” I don’t always know (or even remember as 17 years and 4500 cartoons, I can’t remember every little spark in my poor brain). But occasionally I can (remember the impetus that sparked it), and this is one of those cartoons. I’ll be the first to admit (okay maybe the last; my former professors will be the first) to admit, I was not a great student. Ironically in some of the classes I loved the most, I made the worse grades, and the ones I loved the least, I sometimes aced. This behavior followed me far into adulthood; even upon returning to college at age 48; where I aced advanced math, and did dismally in English. Go figure. But what stumps me the most, still, is that at institutes of higher learning, something happened to me, and I wonder if it did to others as well. And that was “unfinished business”. I’m not talking about fast-track romance and fast cars, and strange spring breaks waking up somewhere in the panhandle of Florida. I mean thoroughly studying a topic, and walking away feeling I had less knowledge about it than when I first approached it. 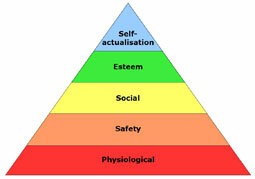 One of those incidents was trying to learn Maslow’s Hierarchy Of Needs. He pretty much summed it up on a pyramid. Sure, as a generalization, Maslow is right on target. But take it a step further and on any given day all of mine can change. I pointed this out to the professor who (by the way hated questions of which he didn’t have answers hence added me to his hate list). Maslow was not my only “unfinished business of academia”. I “learned” a lot of things that, last I remembered, someone else was doing (and doing a lot better than me). 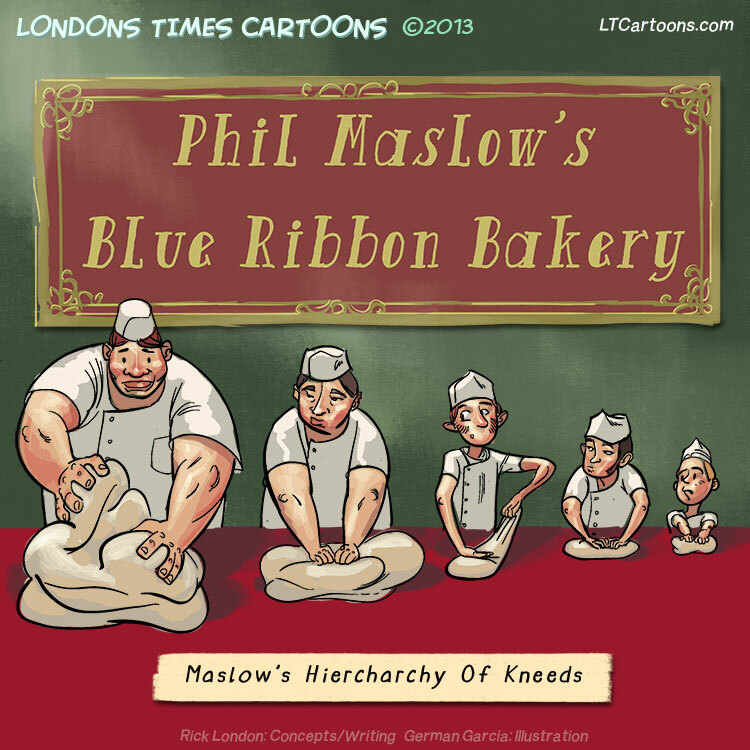 Hence, I’ve taken Dr. Maslow to another realm; the realm of baking. I love good baked food and my wife Lee is one of the best bakers on the planet. She makes an art of most things for which she has a passion. And upon eating her challah, my kneeds are met. Other seasoned artists, writers, musicians etc. with whom I’ve spoken and are friends, understand clearly with no explanation. For those who have never worked in a field in which the “envelope is encouraged to be pushed”, sometimes they don’t understand when I tell them that Veteran’s Day may be one of the most important if not most important days of the year. 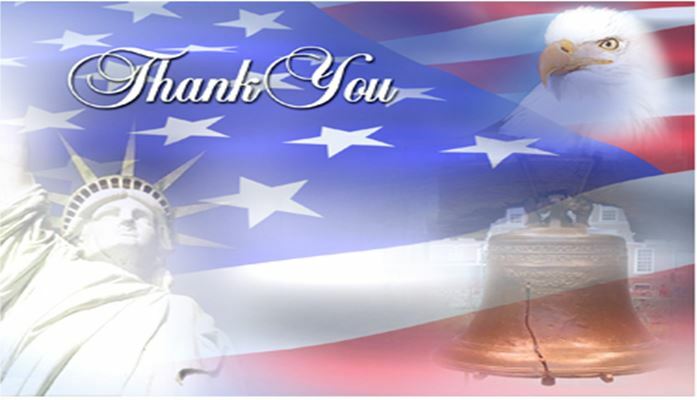 These thank you posts to our veterans, for us, are put up with great emotion; for we know that without our veterans, none of us would be doing the work we love to do, except in hiding, as it is only the countries that suppress, kill, censor and torture their citizens, the one’s that often eventually begin a war to defend their wrongdoing, that consider their creative persons “the most dangerous”. In a free country, like ours, legends like Mad Magazine, Saturday Night Live, The Daily Show, Colbert, The Onion, and yes, even Londons Times Cartoons thrive. Matters not if one likes that type media or not, just be glad it exists, because when/if it ever stops, we’re in big trouble as a nation. In countries like America, one does not need to agree with the philosophies of such media, but they better think twice if they don’t think they should exist. That’s how Syria, Iran and other such countries think, intensely. So they don’t (exist) in those countries. I take that back; some do, but they are done very carefully “in undisclosed locations”. And it is our veterans that have fought for our freedoms so that we don’t have to hide in caves to work. In fact we can be proud of our work and most of us are. So when I “Thank A Veteran”, I tell them why. Almost none of them have thought of that, they tell me, but it is absolutely true. Freedom breeds creativity. Suppression and censorship are violations to the body, mind and soul. Even if you don’t work in the arts/and letters, chances are you utilize them at times. You listen to iTunes, you read your favorite magazine or newspaper, you watch movies, and hopefully you read Londons Times Cartoons :). If you enjoy any of that activity, you too, may thank a veteran. Without our veterans, chances are very slim any of those would exist, or, if they did, they would be heavily conrolled and censored by the government to fit their philosophy, and only one philosophy would be allowed. 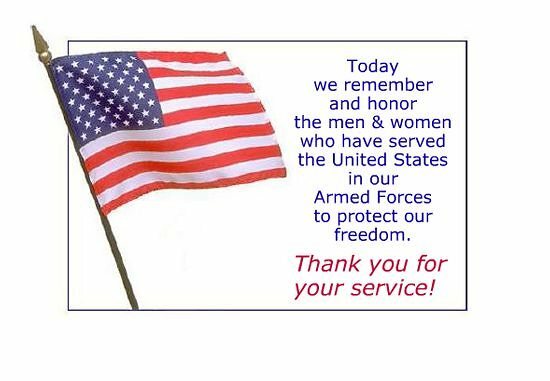 Please thank a Veteran today. Let he or she know how much you appreciate him/her and why. It possibly is one of the most important things any of us will do this year. If you can’t find one nearby, there’s always groups on facebook, Twitter, etc. It only takes a minute and it means a lot to them. Just let them know you feel they are very important and we could never repay them (and that would be true). Rick London is a designer, cartoonist, songwriter and author. 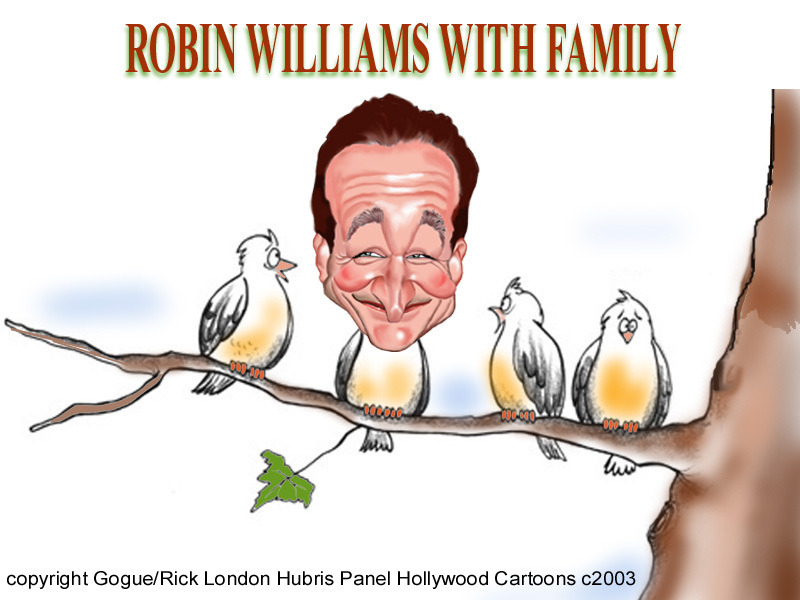 He is best known for his Google #1 ranked offbeat cartoons and funny gifts Londons Times Cartoon. He is married to popular nature photographer Lee Hiller-London and together they live and hike in their home in the Ouachita Mountains of Arkansas. Lee has he popular nature blog Hike Our Planet. I love the English language. And though I’m not certain other languages offer the same kind of slang, puns, etc, for now the English language has plenty of content to keep me happy. So many words not only sound like other words, many of them synonyms, many of them actually are the same word. There are a few research hospital’s websites that are full of excellent information in the way of research, and even documenting experiments and clinical trials of alternative medicines such as herbs etc. I do believe in allopathic medicine, but I also believe there are some herbs with very healing alkaloids for post traumatic health events and even to prevent them. Apparently in agreement with me are MD Anderson, Mayo Clinic, Cleveland Clinic, Johns Hopkins and many others, and though not their primary source of medical treatment, many of these herbs are so at their peers in Europe, Australia and several other regions. About 2 years ago I received a call from Mayo Clinic. The librarian saw several of my cartoons featuring Mayo Clinic. As it turns out, the founder of the Mayo Clinic library, Dr. Lucy, was a big cartoon fan, and collected cartoons that contained Mayo’s picture, name or both. They wanted a signed copy of both of mine. I gladly agreed, and within 3 days I received a thank you note from Mayo, that the cartoons were now showcased in the library. I felt so proud. About two years later I received an email from Mayo’s lawyers that they noticed I had cartoons up with their client’s name and to cease and desist immediately. I was livid. Was this a joke? The librarian was out of town for a week. I told Mayo’s legal department to talk with the library, that they the hospital was perfectly happy with the cartoons, and apparently they, the legal department was not quite doing their job; and I contacted the hospital to let them know what had occurred. The hospital was quite embarrassed, and I never heard from them again. But it was a valuable lesson that no matter how big a company becomes, their departments need to keep in touch with each other, so as not to embarrass each other. Am sure Mayo can afford the very best of attorneys, yet on that day, they seemed as if they’d not even passed the bar exam. In addition, it was parody, protected by the Fair Use Act. Even if Mayo had not had my toons on their wall, I clearly billed them as cartoons, and not trying to confuse anyone that “this was real” and I was a “part of their medical establishment”. Some of the biggest lawyers have done this; and then backed away when they realized the creator understands the protections of parody when it comes to the Far Use Act. I still love Mayo and their site; in spite of their less than pristine legal department. Rick London is an author, designer, songwriter and cartoonist. 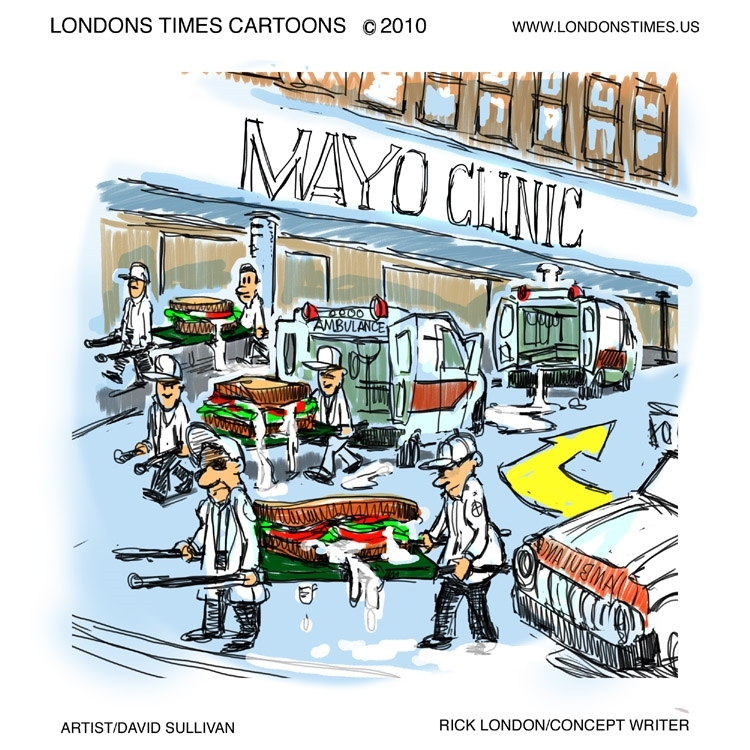 He has created cartoon gifts featuring this Mayo Clinic Cartoon. He is best known for his Google #1 ranked offbeat cartoons, Londons Times (or LTCartoons.com) and number one funny tees and gifts. I’ve told this story before, but, I kind of enjoy it in a strange sort of way, and if you’ve not heard it, you might enjoy it. In late August or Early September 2001, I was rushed to National Park Hospital for angioplasty after a major heart attack. For those who are not familiar with angioplasty, (in my case) rather than putting me under with full sedation, they put me in what is known as “twilight” where, allegedly the patient doesn’t know exactly what is happening, nor remember much afterwards, but really doesn’t feel any discomfort or pain during the procedure. I can remember floating around in the room and seeing what many describe as “a tunnel”. Uh oh. Was I going to be one of the many who’ve now been on national media claiming to have seen the afterlife and come back to tell the story? Not quite. First I returned to my body. Important work to do. I found myself in a large picnic area. On one of the wooden tables was a plate of food talking, debating philosophy. Most of the food was foods we know to contain complex carbohydrates. I asked one of the cardiac nurses for a pen. She said that would not be allowed during surgery. I asked her if I told her a cartoon concept might she remember it. She said no, but if I did after surgery in my regular room, she would gladly give me a pen and paper. Good enough, I thought. I am fairly sure she figured I would forget the whole event, given the amount of anesthesia running through my brain at the time. I remembered. First question back in my room. Not “Is it over?” or “Will I live?”. It was “Where’s that pen and paper you promised”. I actually had the strength to write a portion of the cartoon concept down. When I was released from the hospital a week later, I knew just the LTCartoons.com illustrator who would be assigned this project. And Johann Wessels had it completed in less than 3 days. A lot of young people ask me about getting into cartooning. I try to encourage those who are creative or have artistic and/or writing abilities, but many don’t. To all of them, I explain, but you don’t have to have a heart attack to do this type work. Only be crazy enough to where you could easily give one to someone else. I do both. Rick London is an author, gift designer, songwriter and cartoonist. 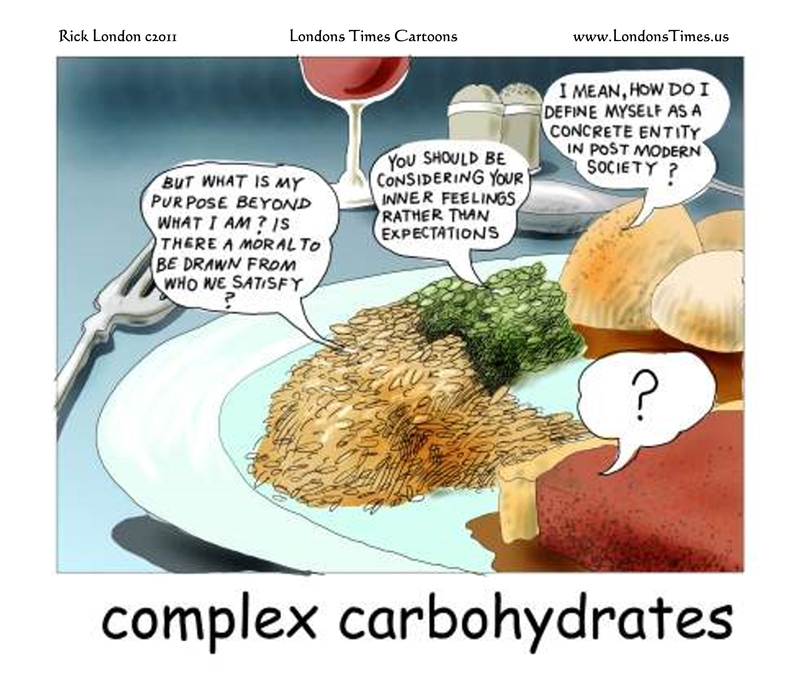 He has created 50+ gifts and tees featuring this complex carbohydrates cartoon. 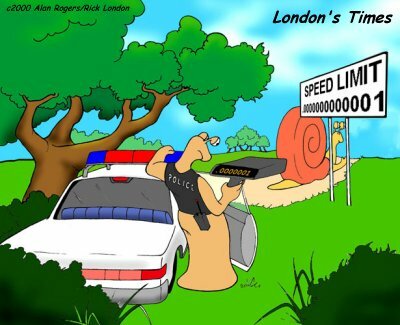 He is best known for his #1 offbeat cartoons, Londons Times (or LTCartoons.com).